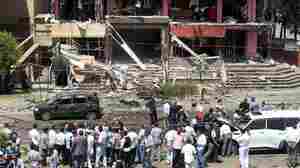 September 5, 2013  A bomb destroyed some vehicles in the interior minister's convoy. 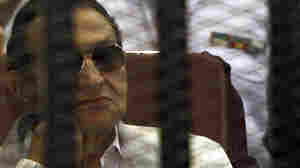 It was the first such attack on a member of Egypt's interim government. 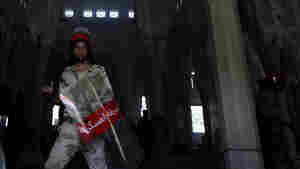 Still, after the deadly violence of last month, some sense of normalcy has returned to Egypt, according to news reports. 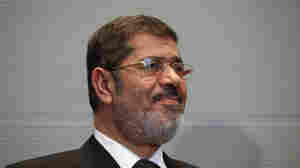 August 20, 2013  While the U.S. has not called the toppling of President Mohammed Morsi a "coup," most direct military aid has been suspended, a top Democratic lawmaker's staff tells The Daily Beast. But the White House says that's incorrect. 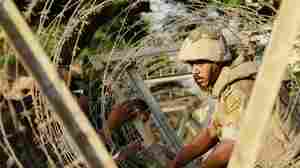 August 19, 2013  The U.S. provides around $1.3 billion in annual aid to the Egyptian military. 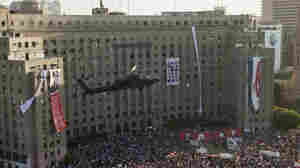 A good deal of that money actually goes to U.S. defense contractors that provide hardware and services for Egypt's army. Here's a list of the companies receiving the biggest contracts. August 17, 2013  The Islamist group has been banned or repressed for much of its history. 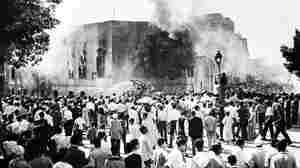 But it has operated in the gaps that successive Egyptian regimes have permitted, serving as a social, religious and political organization. August 16, 2013  The Muslim Brotherhood and its supporters are back in the streets. The government has said it will use live ammunition to protect public buildings and security forces. After Wednesday's crackdown left more than 600 people dead and nearly 4,000 wounded, the country is is shedding more blood. August 15, 2013  Analysts are no longer talking about how to build democracy in Egypt. 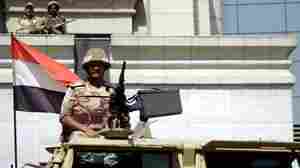 Instead, they are wondering whether the country can avert a protracted, full-scale confrontation between the military and the Muslim Brotherhood. 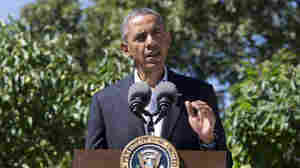 August 15, 2013  While the president did not say the U.S. will cut off aid to Egypt, he did say that joint military exercises scheduled for September have been canceled. He called on Egypt's leaders to lift a state of emergency and to take steps to stop the violence and respect human rights. August 15, 2013  "It's difficult to see a path out of this crisis, at least not without more people dying," NPR's Leila Fadel reports. 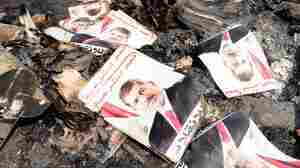 Wednesday's crackdown on supporters of ousted President Mohammed Morsi left hundreds dead and several thousand people wounded.